Amazing hospitality and responsiviness The appartment was new, very clean and well decorated. Very well equiped with all utilities. The bed was very confortable. The bathrooms were great. Everything as aspected. Difinitly a reference in Arouca we recommend ! Casa muito bem arranjada, com gosto e confortável. Todas as condições para uma estadia curta ou mais prolongada. De tudo. Fomo muito bem recebidos e a estadia foi otima. Recomendo. הבית היה מעוצב בטוב טעם, מרווח והכיל את כל מה שצריך להרגיש בו נוח, מושלם. Apartamento moderno e confortável, com excelente localização e higiene. Acolhimento simpático e eficiente. Recomendo. 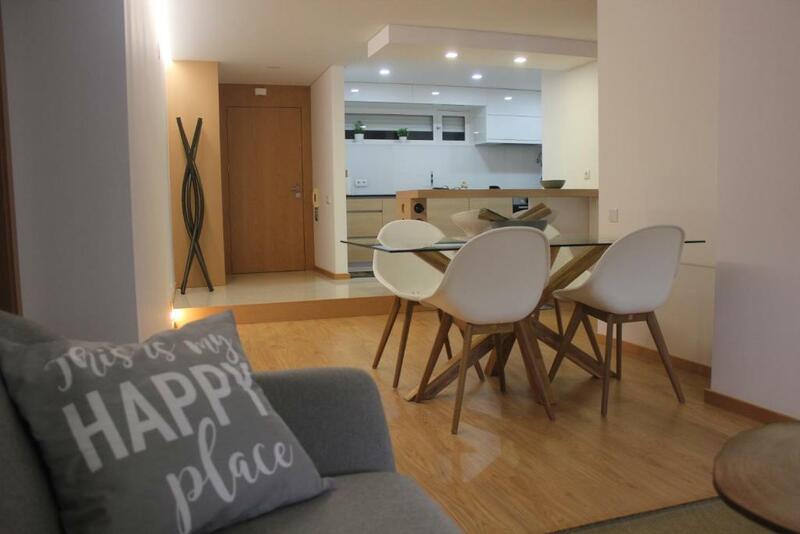 Lock in a great price for Apartamento Milénio T2 – rated 9.5 by recent guests! One of our top picks in Arouca.Apartamento Milénio T2 is located in Arouca. Guests can enjoy free WiFi. The 2-bedroom apartment has a living room with flat-screen TV, and a fully equipped kitchen. Offering air conditioning, the apartment also provides guests with a bathroom with a shower. Francisco Sá Carneiro Airport is 44 miles away. When would you like to stay at Apartamento Milénio T2? House Rules Apartamento Milénio T2 takes special requests – add in the next step! Please inform Apartamento Milénio T2 of your expected arrival time in advance. You can use the Special Requests box when booking, or contact the property directly using the contact details in your confirmation. The air conditioning was located in front or next to the bed. We feel working and wasnt very pleasent we suggest to relocate. Probably the TV was oversized for the room size/distance of the couch, smaller one would be better. We would suggest to add a heating device at living room.